BUCHAREST, Romania - Bianca Adriana Fanu (25, 1.70m, Timisoara) was crowned Miss World Romania 2014 at the Ambasad'Or Club in Bucharest on October 18. 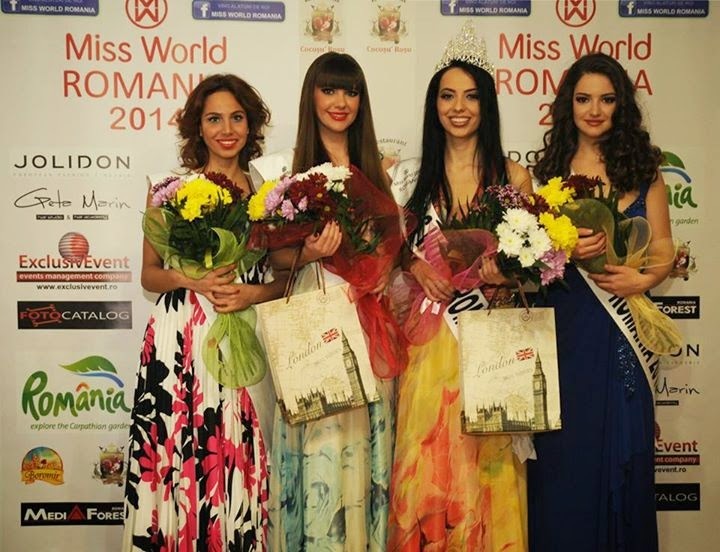 She will represent Romania in Miss World 2014 in London, England on December 14. Ionella Postelnicu, Alexandra Predus and Adelina Lupchian completed the top four.